There is no denying that the contact lens world is all about daily disposable lenses, and with CooperVision's recent acquisition of Sauflon, they added a new option to their growing line of single wear lenses. The Clariti 1 Day lens (also called Fresh Day) is a silicone hydrogel single use lens that is available in spherical, astigmatism, and multifocal options. This marks the first "family" of silicone hydrogel daily use lenses to be available from any company. Silicone hydrogel materials are the most breathable on the market, but they tend to have issues staying hyrdated for many people. 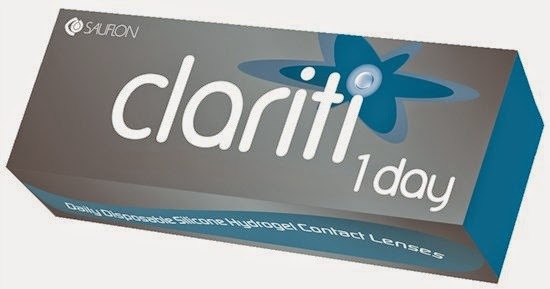 The Clariti 1 Day lens is formulated to offer that outstanding breathability that keeps eyes healthy, and also provide that all day comfort that contact lens wearers need. I have worn the Clariti 1 Day lens for one week now, and every time I put the lens in I am surprised by the initial comfort. Upon insertion the lack of lens awareness is very comparable to the contact lens I typically wear, Dailies Total 1. Comfort was very good until the end of the day for me, and I was able to get a good 14 to 16 hours of wear every day before I needed to take the lenses out. Keep in mind that I am extremely sensitive about contact lens wear and I would expect the average wearer would be much less critical. Am I turning in my Dailies Total 1 lenses? Absolutely not. But at this price tag (around $60 for a 90 pack), the Clariti 1 Day lens offers a very affordable alternative. By comparison, a 90 pack of Dailies Total 1 retails for around $95 and a 90 pack for Acuvue TruEye retails for around $83. CooperVision is planning to launch its own premium single use contact lens, MyDay, in 2015 in the States, and it considers that product to be the future rival to Dailies Total 1's premium lens dominance. Do you think these are better than Dailies Aqua Comfort Plus? I have been having issues with DACP ripping in my eyes when I wear them sometimes. My eye doctor told me that they recently got these in, along with Dailies Total 1. She is hoping one of them works for me, otherwise I will be out of contacts for awhile as I have GPC. Definitely worth a try. 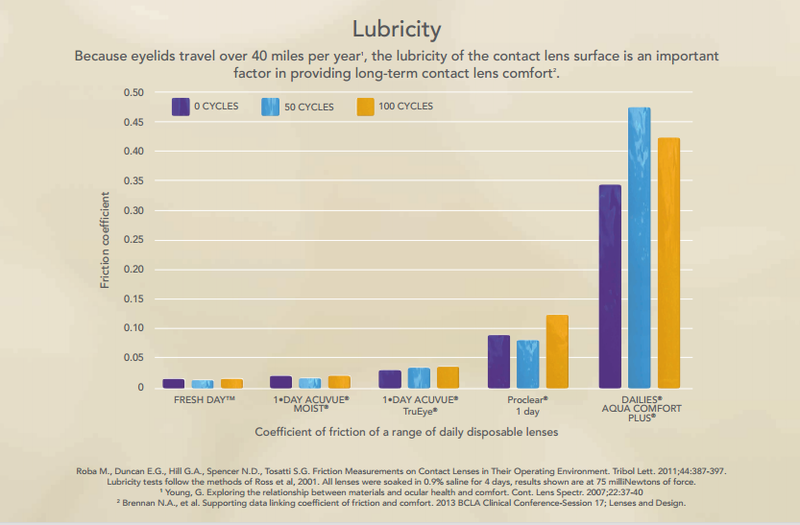 This lens, Dailies Total 1, and Acuvue 1 Day Moist all score very high for having a "slick surface" or in medical terms a low coefficient of friction. That should create less rubbing between your GPC prone inner eyelid lining and the contact lens!